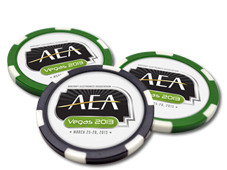 The morning of Tuesday, March 26, 2013 – save the date if you are a serious avionics professional. The place to be is the MGM Grand Hotel & Convention Center in Las Vegas, Nev., at the AEA New Product Introductions session during the 56th annual AEA International Convention & Trade Show. For example, during the 2012 AEA Convention in Washington, D.C., 27 companies introduced new products and services that offered three underlying themes: flexibility, connectivity and capability. Despite the flashy hardware, fancy animations and full-fledged array of options in each and every product category, those were the hallmark concepts being marketed a year ago. There was plenty of new technology, too. New products and partnerships being leveraged by the 2020 mandate for ADS-B Out equipment were available throughout the AEA Exhibit Hall immediately following the announcements made at the New Product Introductions. Last year’s event demonstrated a growing demand for convenient solutions to bring new audio and video in-flight entertainment, and avionics manufacturers paid greater attention to marrying consumer-level ease-of-use with advances in displaying, controlling and automating critical flight information. So what will be the most-exciting new product announced in 2013? The general aviation industry must patiently wait until March 26 to answer this question. But one thing is certain in advance – what happens in Vegas will not stay in Vegas when it comes to the international focus and attention placed on these fast-paced, high-tech announcements. That’s because the New Product Introductions session continues to see annual growth in on-site attendance by AEA members, and the international coverage of the event by the aviation media is at an all-time high. Simply put, the general aviation industry looks forward with greater anticipation each spring to discover, face-to-face, what’s new for all things avionics. Once again in 2013, ANN plans to continue its coverage of the new products introduced into the AEA Exhibit Hall with live interviews and follow-up news from the major announcements made. Again, this comprehensive coverage will be archived and available in smaller segments on the AEA YouTube channel after the event. Judging by the growing interest from the aviation media and AEA members in the AEA New Product Introductions, industry officials are sending a clear signal they understand the importance of keeping up-to-date on the latest products and industry trends in a fast-moving industry. The event provides its attendees with the chance to participate in new product demonstrations, meet existing suppliers, compare new products and services, and build relationships to help the avionics industry thrive and prosper. Las Vegas in 2013 should be no different. The New Product Introductions will be live-streamed around the world by the Aero-News Network.